Super smart, somewhat geeky Audrey McCarthy can’t wait to get out of high school. Her father’s death and the transformation of her one-time BFF, Blake Dawkins, into her worst nightmare have her longing for the new start college will bring. But college takes money. So Audrey decides she has to win the competition for the best app designed by a high schooler, and the $200,000 that comes with it. She develops something she calls the Boyfriend App, and suddenly she’s the talk of the school and getting kissed by the hottest boys around. But can the Boyfriend App bring Audrey true love? Seventeen year old Audrey McCarthy is a computer nerd, belonging to a group simply known as the Troglodytes at Harrison High School, for flocking to the small and uninspiring computer room and using it as a spiritual home. Audrey was once one of the popular girls, best friends with the insanely popular Blake Dawkins, intelligent, fearless and with an attitude to match. Audrey's world fell apart the day her father passed away, only fourteen years old and resulted in the loss of her best friend and social status. Blake stood by Audrey, it was the two teens against the world, but high school had morphed Blake into a nasty and malicious girl, and not someone that Audrey wanted to spend her time with. The day Audrey denounced their friendship, her life has been a living hell ever since. Audrey's dad was somewhat of a computer genius. He could create games, coding and encryption and could recognise that Audrey inherited his skill, instilling in the young girl to never use what she finds when hacking, to hurt others. A rule Audrey still lives by today. Audrey has a small, but loyal group of friends for support, including fellow nerd Aiden. Audrey and her mother have fallen on hard times since her father's death, his accident deemed him as being careless, when Audrey knows the gentle man was anything but. But when a nationwide competition is announced, with the winner receiving a two hundred thousand dollar prize towards a university education. All Audrey needs to do, is design a mobile application, popular enough that every teen will want to download it. 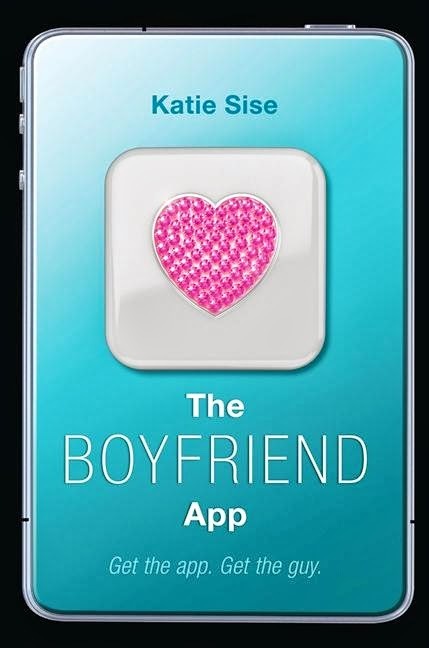 Introducing The Boyfriend App, Get the App... Get the guy. If only it could work for Audrey. The App will find you the perfect boyfriend, by finding your perfect match. The user completing a questionnaire that will be entered into a registry. The virtual boyfriend finder will send an alert to your phone when your love match is within a hundred yards. The competition sponsored by Public, will oversee the downloads of each entrant, all Audrey needs now, is a willing person to test it. Luckily Audrey has successful fashion blogger, popular and chic cousin Lindsay to rely on. But Audrey never expected the App to match her with fellow nerd Nigit. Those two world colliding could possibly end in disaster... Or perhaps not. When Lindsay and Nigit's relationship blossoms, Audrey can't wait for the downloading to begin. 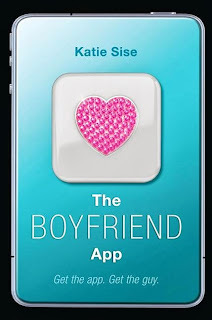 Skyrocketing up the download charts, The Boyfriend App now sits pretty in the top ten... But not for long. When Aiden is matched with a mean girl cheerleader, the App begins a public downward spiral. students being humiliated and broken hearts in it's wake. Audrey's short lived popularity is now in shambles and she can kiss goodbye her university education and in an act of frustration, throws her phone. What Audrey discovers could uncover a ploy to lure teens into lust and wanting, creating a new App, securing her future and seeking justice for her father by bringing down the company who tarnished his name. The Boyfriend App was cute. It was a light, fluffy and fun read that will appeal to computer nerds, teens and those who have ever been at the mercy of a mean girl. The technical terms were overwhelming, but luckily it didn't venture any further than a few paragraphs, or The Boyfriend App may have read as though it were a manual, rather than a novel. Audrey is an intelligent girl with no self esteem, battling bullies and a crush on fellow computer enthusiast Aiden. Readers will follow her journey from the shy meek girl, to corporate hunter. Entertaining and great for teens. Hello fellow Estes Angel, I'm now following you on Bloglovin and thought I'd check out your blog! This book sounds like an interesting one, I haven't heard of it before and me being a fellow computer nerd will love it :) Thanks for your review! Hey Jeann, thanks for popping by. It's certainly cute, but it also had the potential to be turned into a dystopian and I would have loved to have read that. It's good for young teens, but doesn't hold too much value for adults. Made me realise that creating an application is far harder than the average person thinks it is.